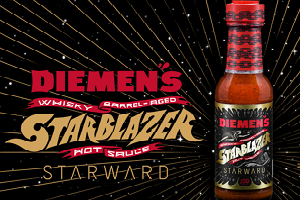 This week hot sauce met single malt when maker Diemen’s teamed with leading Australian whisky distillery Starward, part owned by global liquor titan Diageo, to launch Starblazer Hot Sauce. This man-cave must uses Queensland cayenne and habanero chillies aged in barrels that formerly held Starward whisky and Australian red wine. It also boasts “Tasmania’s wild mountain pepper” (Tasmannia Lanceolata) as another marquee ingredient. “These unique elements have produced an aromatic, ‘bushy’ rainforest feel with a mature, sweet fruit tone and lingering whisky afterburn,” the blurb says. Are supermarket customers a means to an end, or the end?